I woke up to a bright and sunny day here on the Washington coast (RARE!) and I instantly had the thrifting bug so the little man and I high-tailed it to GWill and came home with a car load! 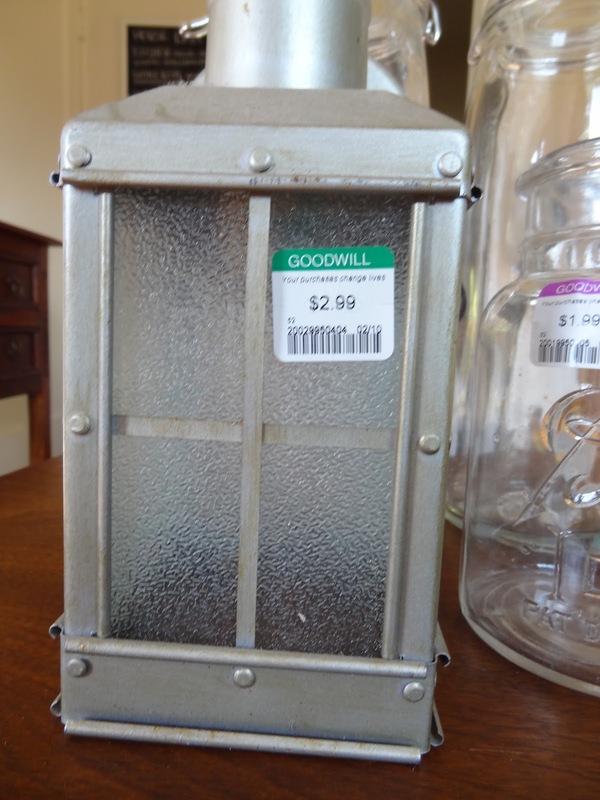 Exterior Light ~ I've been looking for this style...now to paint or not to paint? Score! What great loot! Got plans for everything? Of course! That fabric has had me smiling all day! I can't decide whether to make some pillow covers with it or to reupholster some amazing MCM dining chairs that I scored a few weeks back. 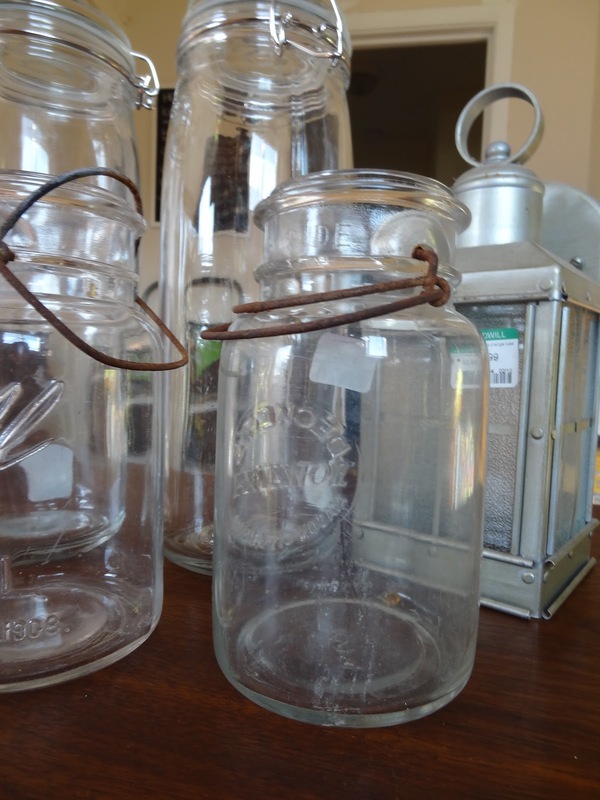 Those mason jars will end up in my bathroom...now to just get to work with its remodel. Thanks for stopping by! You always find great deals! I absolutely love the fabric! Awesome deals and great stuff. I love to go thrifting when I get the chance. I can relate to the weather there in Washington. I grew up in Seattle and then later moved toward the Cascade mountains until I moved to Indiana in 2000. One day I would love to move back home as Washington will always be my home. Found you through linky hop and I am now following. Hope you'll stop by for a visit. There's nothing like a good visit to the Goodwill to inspire some creativity. I'm your newest follower on Linky. Looking forward to seeing what other great ideas you have for us.